A large-scale afforestation project has been carried out since 1999 in the Loess Plateau of China. However, vegetation-induced changes in land surface temperature (LST) through the changing land surface energy balance have not been well documented. Using satellite measurements, this study quantified the contribution of vegetation restoration to the changes in summer LST and analyzed the effects of different vegetation restoration patterns on LST during both daytime and nighttime. The results show that the average daytime LST decreased by 4.3°C in the vegetation restoration area while the average nighttime LST increased by 1.4°C. The contributions of the vegetation restoration project to the changes in daytime LST and nighttime LST are 58% and 60%, respectively, which are far greater than the impact of climate change. 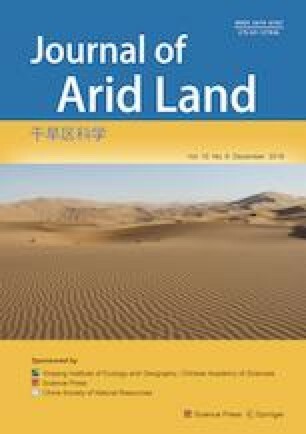 The vegetation restoration pattern of cropland (CR) converting into artificial forest (AF) has a cooling effect during daytime and a warming effect at nighttime, while the conversion of CR to grassland has an opposite effect compared with the conversion of CR to AF. Our results indicate that increasing evapotranspiration caused by the vegetation restoration on the Loess Plateau is the controlling factor of daytime LST change, while the nighttime LST change is affected by soil humidity and air humidity. This work was funded by the National Key Research and Development Program of China (2016YFC0401306), the National Science Fund for Distinguished Young Scholars (51625904), and the International Science & Technology Cooperation Program of China (2016YFE0102400). The authors are grateful to the anonymous reviewers for their detailed comments.